One important linear algebra application is the resolution of electrical circuits. 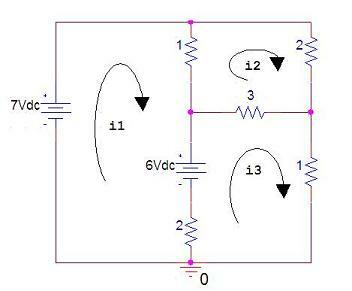 We can describe this type of circuits with linear equations, and then we can solve the linear system using Matlab. This system can be described with matrices in the form Ax = b, where A is the matrix of the coefficients of the currents, x is the vector of unknown currents, and b is the vector of constants on the right of the equalities. This means that i1 = 3, i2 = 2, and i3 = 3.